The First Stress Reduction System for Christians! For the first time ever! Dr. Leonard Coldwell created with the advice and help of Christian Ministers, Pastors a stress reduction system for Christians. This is the Christian version of Dr. Coldwells famous IBMS stress reduction system. The most sold and the most endorsed stress reduction system in the world. Due to popular demand and countless requests from church members and ministers, Dr. Coldwell finally introduced Quiet Time. The very first stress reduction system for Christians. 2. 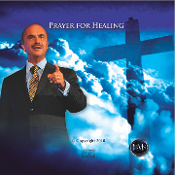 Prayer for Healing - This session allows you to get closer to your creator and his love and healing power.